Have you noticed how when you toggle something like Do Not Disturb or Airplane Mode on on your Apple Watch, that the little icon depicting that particular feature denotes its state by changing color? Gone is the drab, boring icon, replaced by a vibrant and colorful depiction that not only catches the eye more, but simply looks nicer as well. Wouldn’t it be great if all of Apple’s devices followed suit? 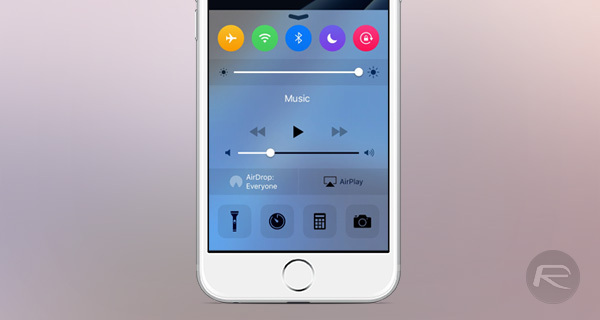 In particular, we mean the icons that reside within Control Center on iOS. If you flick up from the bottom edge on your iPhone right now, you’ll be treated to a collection of icons that looks, well, boring. Even when activated, they don’t gain color unlike their Apple Watch counterparts. Isn’t that just a shame? If you’re of the same opinion as us and carry an iPhone that is jailbroken – including the new jailbreak for iOS 9.1 – then you might want to fire up Cydia and have a quick search for a tweak called Cream. 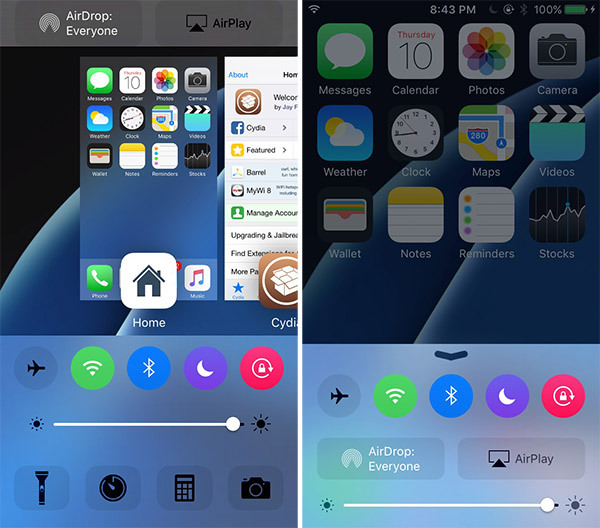 Cream, available to download from the Cydia store now and for free, changes the color of active icons within Control Center. That means if you toggle something like Airplane Mode on, you will be treated to a new icon that not only shows you that Airplane Mode is activated, but also does it with a little flourish. Cream is compatible with tweaks that play around with Control Center itself too, so you don’t need to worry about something like FlipControlCenter or CCSettings breaking everything with Cream installed. Changing the color of activated buttons within Control Center may not be the biggest change to iOS that jailbreaking makes possible, but it’s one that improves the aesthetics of the system while also making it easier to tell when particular buttons are active. It looks good, and it does something functional. That sounds like a pretty perfect tweak to us. For a guide on how to jailbreak your iOS 9.1-running iPhone, iPad or iPod touch on both Windows and Mac, check out the following: How To Jailbreak iOS 9.1 On iPad Pro, iPhone 6s / 6s Plus, More [Tutorial]. This doesn’t work out so good if you have CCSettings installed. Had to get rid of it.